NORTH LAWNDALE — After facing pushback from the Humboldt Park neighborhood, Riot Fest organizers confirmed Wednesday morning that the punk rock fest will be moved to Douglas Park in North Lawndale. "Welcome to Douglas Park Riot Festers," read an announcement posted to the Riot Fest website Wednesday morning. "Douglas Park is our new home." The post details the history of Douglas Park and includes "quirky facts" and transportation information, referring to the North Lawndale Park repeatedly as "our New Home." It also includes a note to the festival's "New Neighbors" praising the neighborhoods as "what makes Chicago great." Douglas Park was a leading contender as tensions rose in Humboldt Park because it is similar in size and layout to Humboldt Park, Ald. Michael Scott Jr. (24th) said Tuesday evening. It is one of a number of options that was considered to host the fest, he said. "If you look at the field houses, the park layouts — [the parks] were designed by the same person," he said. Officials with Riot Fest did not immediately comment. The Chicago Park District urged the festival to look at options away from Humboldt Park, a spokeswoman said. Scott said Tuesday he would support the move as long as the North Lawndale community supported it. The alderman said he would also seek assurances from Riot Fest owners to head off fest-related problems. Tensions between Riot Fest and various factions within the Humboldt Park community came to a head in April when Ald. Roberto Maldonado (26th) vowed to bar Riot Fest from setting up shop for a fourth year in Humboldt Park. Before Wednesday's announcement, Riot Fest founder Michael Petryshyn maintained he was “100 percent certain” the fest would return to the park. As tensions rose, he quickly enlisted Ald. Joe Moreno (1st), a neighboring alderman to Humboldt Park, who clashed with Maldonado when he came out in support the fest in May. A series of petitions, Facebook groups and coalitions followed on both sides of the aisle, some in support of keeping the fest “in its Humboldt Park home” — others set on ejecting it permanently. Through it all, Riot Fest organizers maintained a beeline drive for Humboldt Park, recently with the help of former Mayor Rahm Emanuel communications chief Chris Mather, a Purple Strategies consultant who was brought on to manage public affairs for Riot Fest earlier this month. In a second statement posted to the Riot Fest website Wednesday, organizers characterized the move as a response to "unfair and unjust tactics that in no way represent the overwhelming majority" of the Humboldt Park community. "Riot Fest partners, Michael Petryshyn and Sean McKeough made the ethical decision not to allow the festival to be used as a pawn and removed Riot Fest from the conversation regarding the ever-changing face of Humboldt Park," the statement continued. It also thanked Alds. Moreno and George Cardenas (12th) for their support. The sudden move to Douglas Park amid opposition from Humboldt Park residents isn't the punk rock fest's first relocation in response to mounting community pressure. A stop on the 2012 tour was canceled "due to unforeseen circumstances" a week ahead of its event date when the Philadelphia show was postponed and eventually shut down for good. Though a follow up tour was discussed for the city, a new tour never materialized. 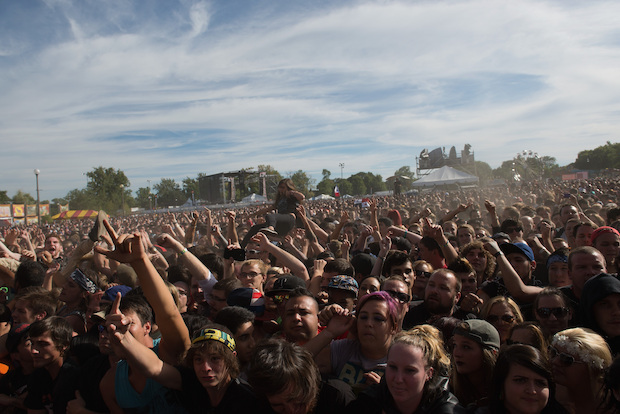 Riot Fest was later forced out of Byers, Colorado in summer 2014 — a decision that left Petryshyn "tremendously sad" and “utterly incensed.” Before the incident, Petryshyn told fans in a 1,000-word statement that he had planned to make Byers his “home for Riot Fest for years to come." He has made similar statements about Humboldt Park in the past. Riot Fest was “duped” and “tossed out of Byers” that year and a legal appeal to overturn the decision was unanimously rejected by the town's county government two months later. Last year, when Riot Fest organizers were asked to detail their backup choices for the huge punk rock festival in Chicago, they listed only one other option: Grant Park. But Douglas Park was also on their radar, according to Maldonado, who said fest organizers already had turned down an offer for Douglas Park in the past. 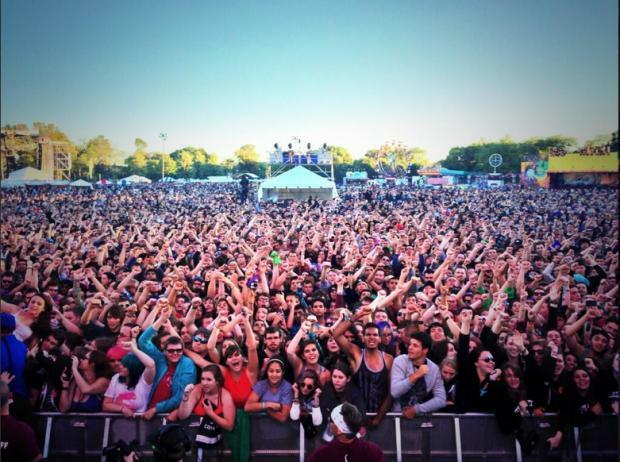 Riot Fest officials said the festival lineup will be announced next week.